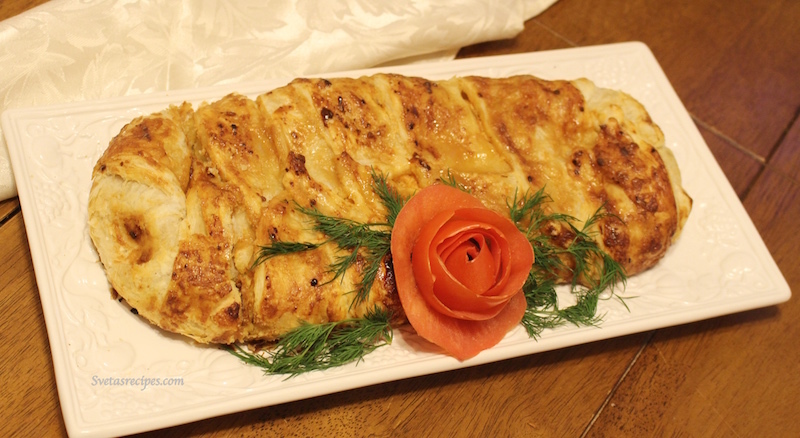 A creamy fish filling is stuffed with a delicious tomato sauce into a puff pastry dough. Then topped with honey mustard glaze that makes for one easy and delicious fish dish. 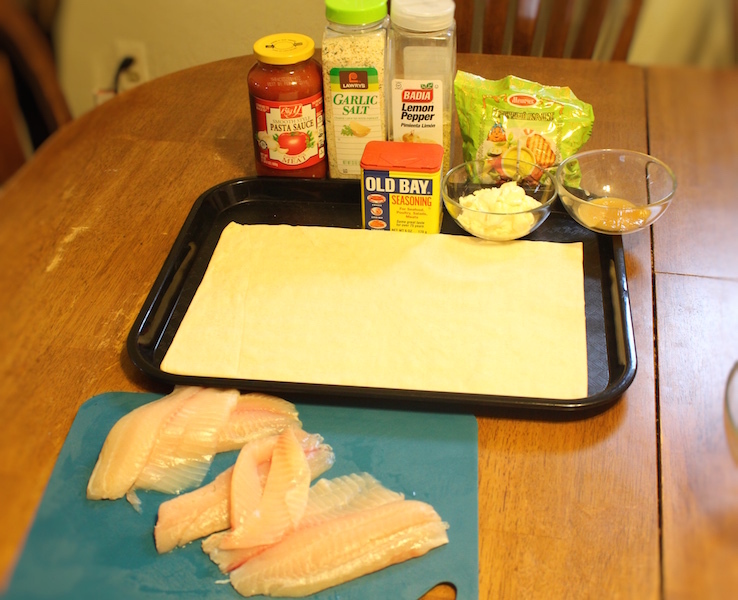 2) Dice Tilapia fish and add into a medium size bowl with mayo and tomato sauce. 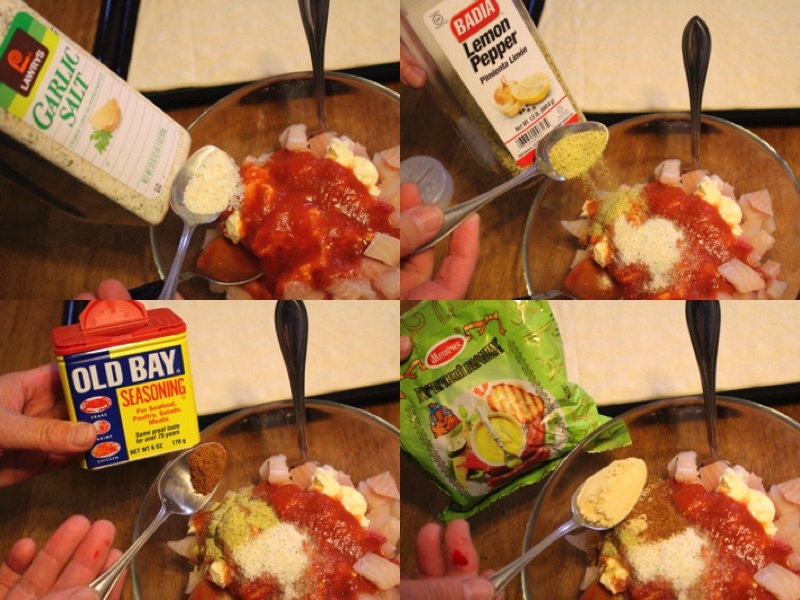 3) Add all the seasonings and mix well. 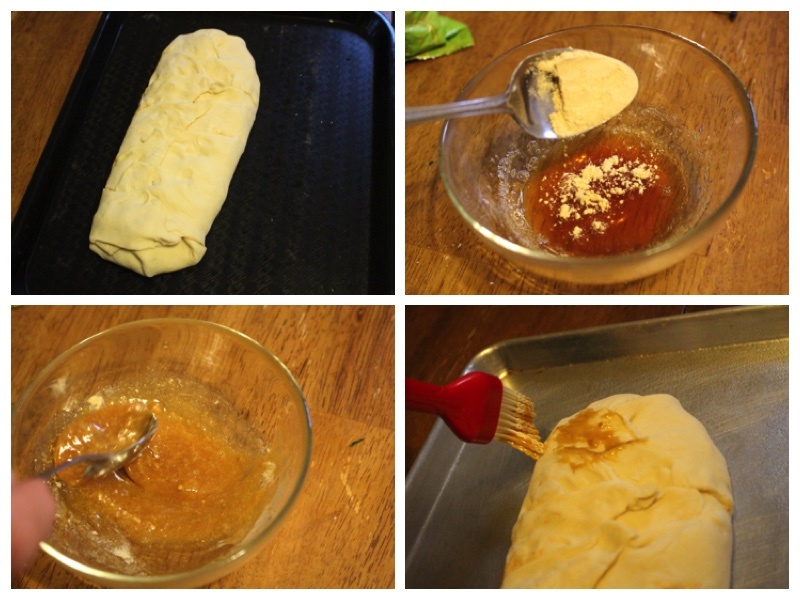 4) Place the fish mixture onto the dough in the middle as shown in the picture above. Cut the dough on the sides as shown above to be able to braid the dough. 1 teaspoon of dry mustard. 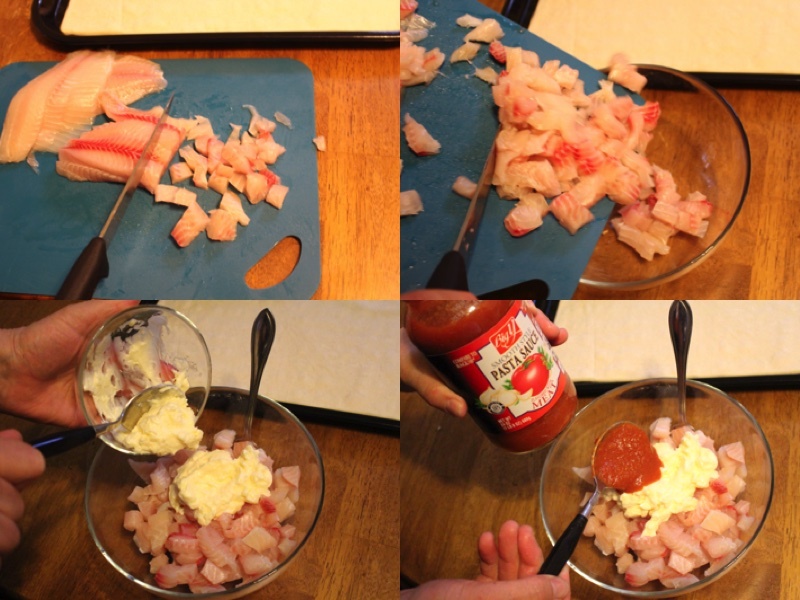 Dice Tilapia fish and add into a medium size bowl with mayo and tomato sauce. 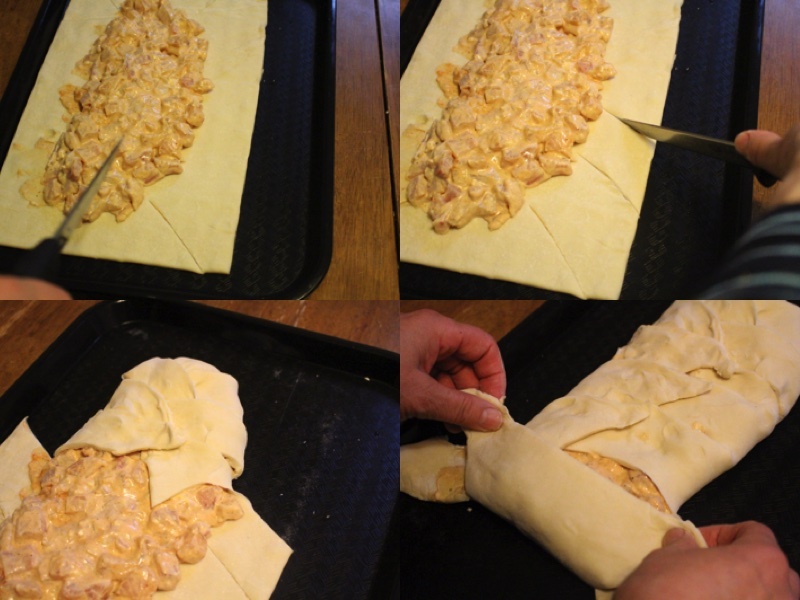 Place the fish mixture onto the dough in the middle as shown in the picture above. Cut the dough on the sides as shown above to be able to braid the dough.